VFA clubs have played many official and unofficial games outside of the standard premiership matches scheduled each season. These have ranged from the inter-colonial tours of the late-1800s to the modern-day Foxtel Cup matches between the best of the State League teams. Numerous tours took place over the next twenty years with VFA clubs playing matches throughout regional areas as well as interstate. Most were played on end of season trips, with a handful being played in-season on representative weekends or when a club had a bye week in the fixture. However, by the end of the 1990s exhibition matches had become a rarity for VFA-VFL clubs. Following the bitter split of 1896, the remaining VFA teams were keen to test themselves against the breakaway VFL teams. The first challenge was issued in 1897 but the proposed playoff between Port Melbourne (VFA Premier) and Essendon (VFL Premier) eventually fell through. Months later the first Association versus League matches were held during the 1898 pre-season and this quickly became an annual tradition that lasted until 1906. Everything changed during that 1906 season when the VFL rescheduled two matches in order to create a clash with the VFA's representative match against South Australia. Between 1972 and 1979 the VFA held an annual Lightning Premiership competition involving the teams that missed the finals series. The matches were played as curtain-raisers for the finals and consisted of two halves. Second Division played their competition first and the winner advanced to the semi-final stage of the First Division Lightning Premiership. Just three Second Division teams reached the Grand Final of the First Division competition - Northcote (1975), Werribee (1978), and Yarraville (1979) with Werribee the only one of these teams to win the title. When the VFA split into two divisions for the 1961 season, a system of promotion and relegation was introduced: the last-placed team of First Division was relegated and the premier team of Second Division was promoted. At this time the VFA also introduced a playoff match which was held the week after the Second Division Grand Final. The match provided the runner-up in Second Division another opportunity to earn promotion by defeating the second-last (9th) team of First Division. Due to a lack of support from clubs the concept was scrapped after the 1962 match. The 1977 season featured a one-off knockout tournament played along similar lines to English soccer's FA Cup. The Second Division teams played a qualifying round, with the winners advancing to the main draw to compete against First Division teams. Matches were played throughout the season culminating in the Centenary Cup Grand Final at Toorak Park on August 14. When the VFL announced they were leaving the NFL's national competition to play their own rival night series (the Amco-Herald Cup), the SANFL responded by banning their players from taking part in interstate or club matches against VFL teams. This created the possibility for VFA teams to play pre-season practice matches against SANFL clubs, something which had previously been impossible with the VFL controlling access to interstate contests. In 1976 Australian football's governing body, the NFL (formerly the ANFC) ran a national night competition featuring clubs from the VFL, SANFL and WAFL. 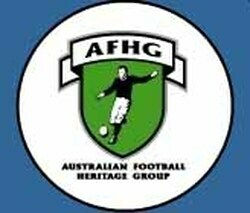 The following season the VFL withdrew and launched their own rival competition (the Amco-Herald Cup). The NFL invited the VFA to take the VFL's place in the series, thus ending the Association's exile at national level which had started with their departure from the ANFC in 1970. The format of the series was altered each season and by 1979 the NFL's competition had been heavily weakened with only the SANFL clubs and the top two teams from the VFA and the QAFL taking part (the WAFL clubs and the state representative teams had all transferred to the VFL's night competition the year before). After lengthy negotiations the SANFL announced in late 1979 they would also switch to the VFL Night Series in 1980. This left the VFA and QAFL clubs on the outer and the NFL was forced to abandon its competition after four seasons of play. In March 1992 the VSFL (Victoria's newly-formed governing football body) held the inaugural Premier's Cup which featured the reigning premiership-winning teams from the leading metropolitan and regional leagues across Victoria. The strongest leagues (the VFA and the VAFA) were allowed to field two teams while the other leagues only had a single team involved. The winning club collected the $33,000 prizemoney provided by the Victorian State Government and the best player in the final received the Jack Dyer Medal. The tournament was intended to be played on an annual basis but the 1992 competition was the only one ever held. In 1993 the VFA played their inaugural pre-season competition, a format that had been successfully adopted by the AFL and a number of state leagues across Australia. The series ran for three seasons and the 1995 competition was radically re-structured due to the reduced number of teams in the VFA that season. The pre-season series did not survive beyond 1995 when a restructure of the Association led to the VSFL assuming control of the VFA and renaming it the VFL. Within a year of re-launching as the VFL, the Victorian league faced the Tasmanian Football League (TFL) in an exhibition match between the premier teams of each competition. The first game was held during the 1997 pre-season and became an annual contest. In 2010 the Australian Football League (AFL) proposed a League Championship Cup be held the following season, featuring the top clubs from the major State Leagues across Australia. The top three teams of 2010 from each of the VFL, SANFL, and WAFL were invited to join along with the QAFL's Grand Finallists and the premier team from the Tasmanian State League and the Sydney AFL. The GWS Giants (who were playing in the NEAFL ahead of a move to the AFL in 2012) and the Northern Territory Thunder were also invited to participate. The competition was quickly branded the Foxtel Cup with matches played as curtain-raisers for Saturday night AFL games or as stand-alone matches. This provides Foxtel with a game to broadcast between their Saturday afternoon and Saturday night AFL match coverage; in the process providing additional promotion for the State Leagues.